Mark’s legal practice focuses on providing legal representation to real estate investors and owners, automobile dealers, construction companies, physicians and all forms of commercial entities. He concentrates his practice on real estate acquisition and management, corporate formation and management and construction and commercial litigation. Mr. Counts is licensed to practice law in the States of Texas and Georgia and he is a member of numerous trade organizations including the National Association of Dealer Counsel, the National Independent Automobile Dealers Association, the Texas Independent Automobile Dealers Association, the Houston Automobile Dealers Association, and the Construction Law section of the Texas State Bar. 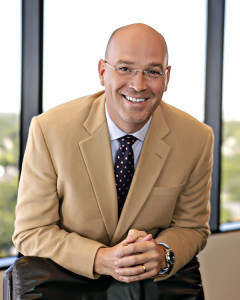 Prior to entering private practice (and eventually founding the Counts Company), Mark was a partner and an associate in several litigation firms. Mark is a fourteen year veteran of the U.S. Army and a former member of the Infantry, Ordnance and Judge Advocate General’s Corps. While in the service, Mark was the labor and employment attorney for Fort Polk, Louisiana. He also served as a general counsel to Bayne Jones Army Hospital and was an investigator for the U.S. Department of Defense. In 2016, Mark (and three partners) founded a small chain of self-storage facilities. Mark is actively engaged in the financial management of these facilities. In 2018, Mark formed a private equity company focused on acquiring, improving and selling real estate assets within the State of Texas. He actively seeks to assist business owners in the diversification of their portfolios and encourages them to pool their assets with other qualified investors to invest in Texas real estate. Mr. Counts was born in Richlands, Virginia and he attended Garden High School in Oakwood, Virginia. He obtained his Bachelor of Science degree from Virginia Polytechnical Institute & State University (Va. Tech) and graduated from the U.S. Army Infantry School. He was commissioned as a Second Lieutenant by the U.S. Army Officer Candidate School in 1993 and was awarded the rank of Captain in 1997. He graduated from South Texas College of Law in 1999 and from the U.S. Army Judge Advocate General’s School in 2000. Mr. Counts is a former Langdell Scholar, a former Adjunct Professor at Upper Iowa University and Cy-Fair College and the recipient of six Phi Delta Phi academic achievement awards. For his military service, he was awarded the Meritorious Service Medal, two Army Commendation Medals, the National Defense Ribbon, the Overseas Service Ribbon and two Army Achievement Medals. Mr. Counts is a licensed automobile dealer and an avid car collector. He is a member of the 356 Registry and the Porsche Club of America. As a testament to his limited mechanical skills and great intestinal fortitude, he currently enjoys paying for the maintenance of a 1961 Porsche 356B, a 1974 VW Thing, 1960 and 1989 Dnepr motorcycles and a 1949 MC TC. In order to ensure that his economic fortunes continue to rise, he has promised himself to never, ever, ever purchase a 1998 Ferrari 355F1 Spyder again.